MODARTT is a company that develops and provides software as well as consulting services for artistic and technological applications. MODARTT also supports the KIViR project (Keyboard Instruments Virtual Restoration), offering digital restorations and copies of historical keyboard instruments present in museums. 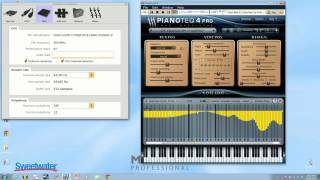 Pianoteq was created in 2006 and is the very first piano where the sound is computed via a detailed physical model involving the hammers, the strings and the soundboard. It is thus the first truly modelled piano. 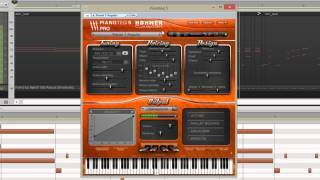 Pianoteq represents the future of virtual pianos, providing the best technology available. The sound is reproduced through a physical model that simulates properties and behaviors of real acoustic pianos with unique adjustable parameters. This results in a remarkably vivid and adaptable instrument.